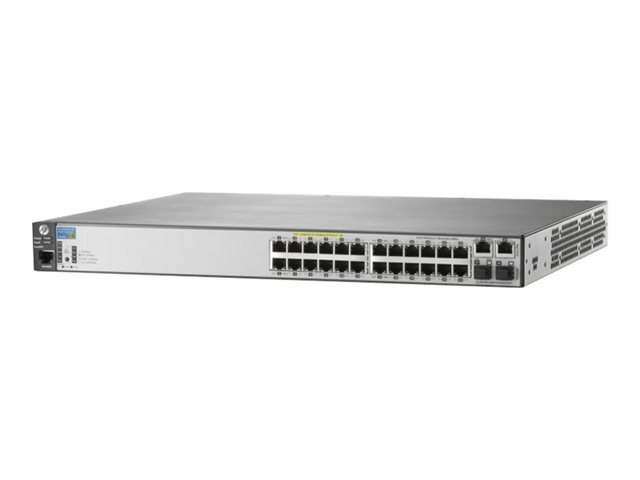 The HP 2620-24-PoE+ switch is IEEE 802.3af- and IEEE 802.3at-compliant switch. The 2620 series switch includes two 10/100/1000BASE-T ports and two SFP slots for Gigabit Ethernet uplink connectivity. 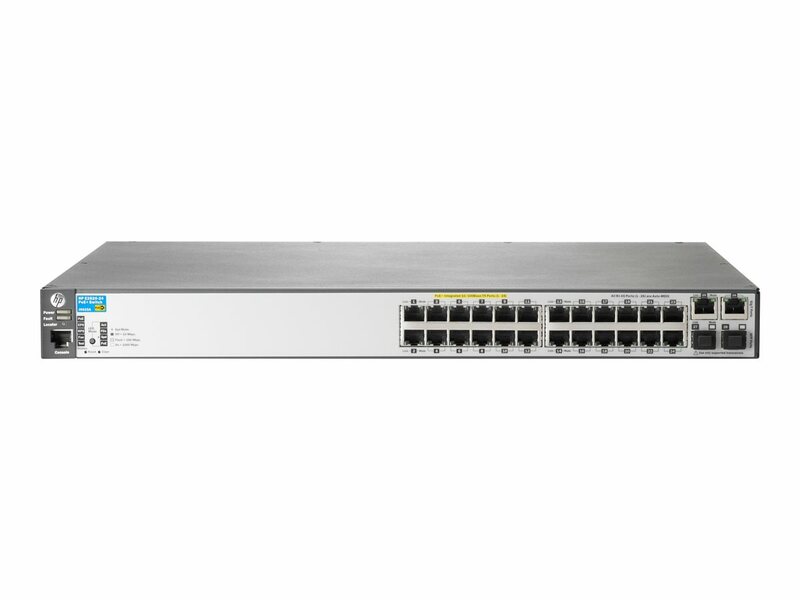 With IPv4/IPv6 static and RIP routing, robust security and management features, the HP 2620 switch series is a cost-effective solution for customers who are building converged enterprise edge networks. Enables prioritization based on TCP/UDP port numbers. Allows real-time traffic classification into eight priority levels mapped to eight queues. Sets per-port ingress enforced maximums and per-port, per-queue guaranteed minimums. 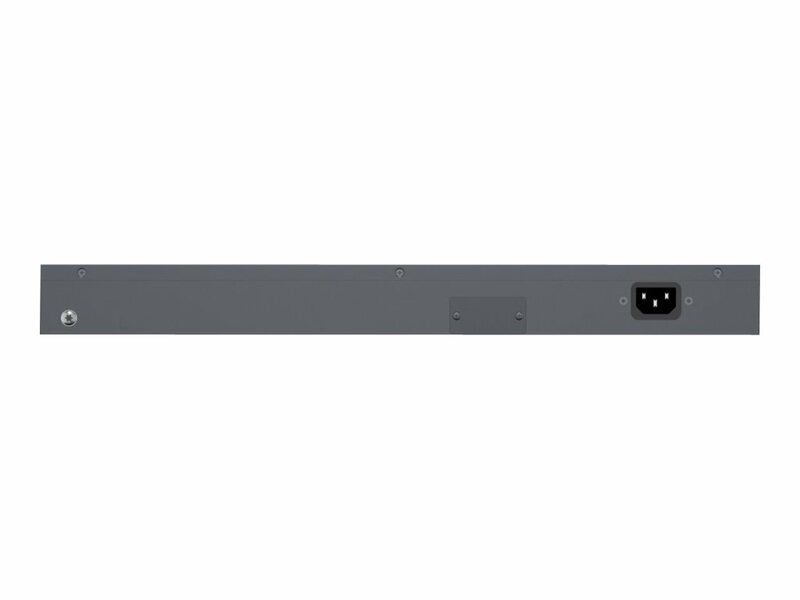 Allows the switches to be managed and deployed at the edge of an IPv6 network. Forwards IPv6 multicast traffic to the appropriate interface; prevents IPv6 multicast traffic from flooding the network. Provides high link availability in multiple VLAN environments by allowing multiple spanning trees. Provides independent primary and secondary operating system files for backup while upgrading. Allow assignment of descriptive names to ports. Finds and fixes common network problems automatically, then informs administrator. Allow multiple configuration files to be stored to flash image. Ingress and egress port monitoring enable network problem solving. Provide IP Layer 3 filtering based on source/destination IP address/subnet and source/destination TCP/UDP port number. Allows only specified ports to communicate with each other. Encrypts all transmitted data for secure, remote command-line interface (CLI) access over IP networks. Allows access only to specified MAC addresses, which can be learned or specified by the administrator. Prevents particular configured MAC addresses from connecting to the network. Allows secure file transfer to and from the switch; protects against unwanted file downloads or unauthorized copying of a switch configuration file. Displays security policy when users log in to the switch. Enables implementation of a highly granular and flexible access security policy and VLAN assignment specific to each authenticated network user. Blocks Bridge Protocol Data Units (BPDUs) on ports that do not require BPDUs, preventing forged BPDU attacks. Blocks DHCP packets from unauthorized DHCP servers, preventing denial-of-service attacks. Blocks ARP broadcasts from unauthorized hosts, preventing eavesdropping or theft of network data. Automatically prevents flooding of IP multicast traffic. It is an automated device discovery protocol for easy mapping by network management applications.